Acquisitions, online shopping, and increasing marketing mail counts provide tailwinds for a company that grew revenues by 29% in 2017. Despite this high growth, Stamps.com’s P/E and Free Cash Flow yield are still in line with the market, indicating room for the stock to rise. 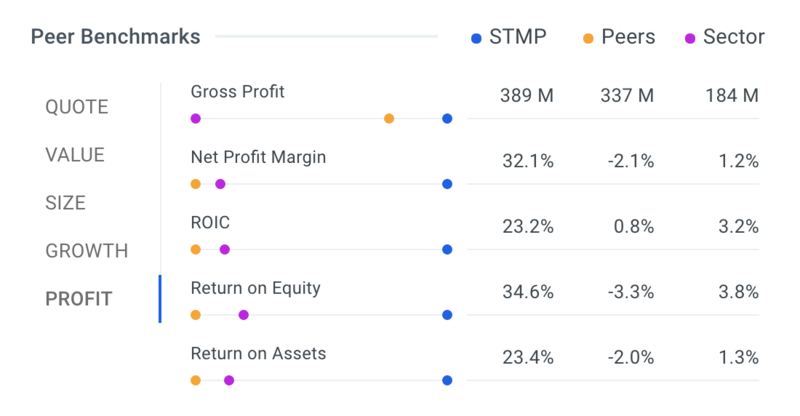 Stamps.com has a 32% net profit margin and provides a unique way to play e-commerce growth through a high margin, low overhead logistics software company, where there are few public players. Quantitative valuation models predict nearly 30% upside. Wall Street confirms with a target price 29.6% above the current stock price. Company guidance was recently revised up, and STMP surprised in each quarter last year. Consumers are experiencing a major evolution in how companies can communicate with them, but these marketing channels are constantly shifting. A marketing message now regularly caught in the spam filter has migrated to Facebook. Broadcast television commercials, outside of sports, are losing their potency as more people cut cords. Newspaper ads have almost become a thing of the past, just like first-class mail, whose volume dropped by more than half over a decade thanks to the use of email. However, mail service is not dead. One bright spot is still marketing mail, aka junk mail, which might just be the best way for less sophisticated businesses, especially local small businesses, to reach cord cutters and Millennials. Junk mail was responsible for 52.4% of United States Postal Service (“USPS”) mail delivery in 2016. 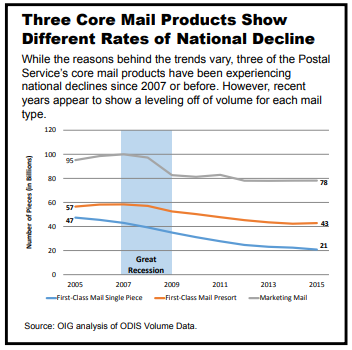 The 80.9 billion marketing pieces, along with package delivery, were the only points of growth in the USPS’ deliveries. With the shift to online retailing, package delivery has become almost a daily happening for households. 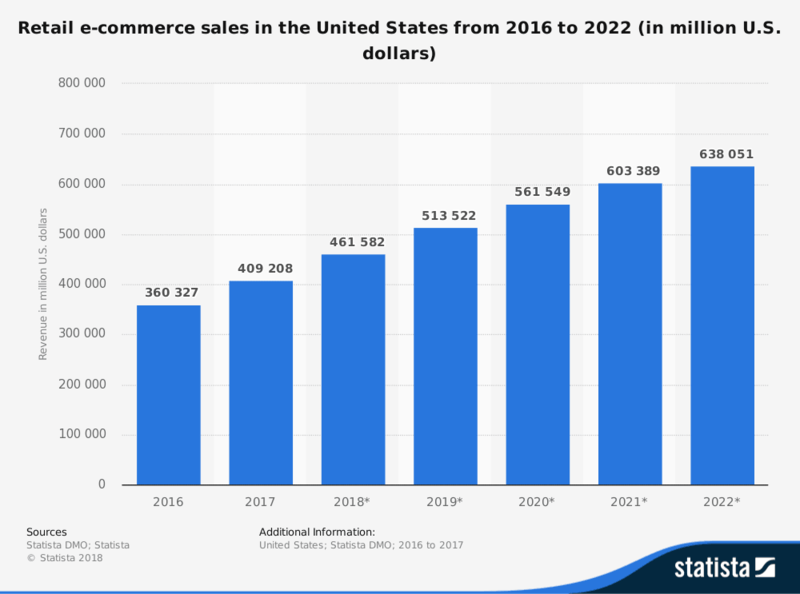 E-commerce retail sales (B2C, business-to-consumer) are expected to continue to grow at near double-digits for the foreseeable future, driving a renaissance in the requisite logistics. 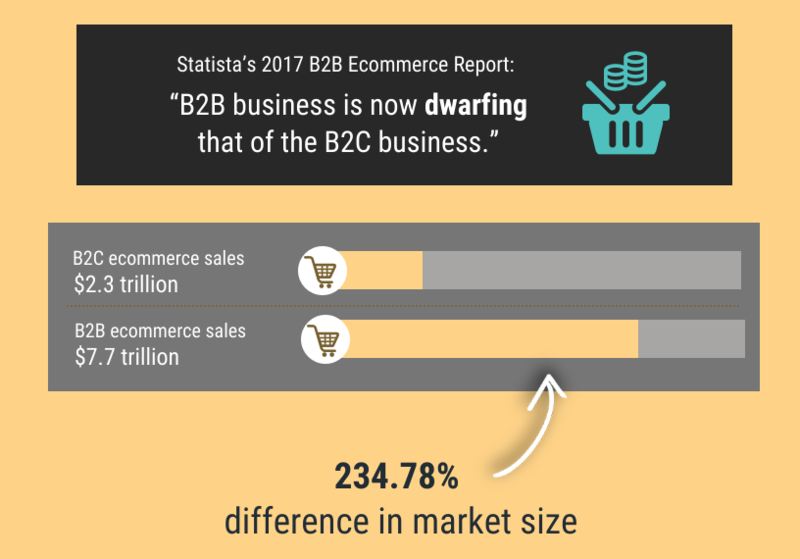 However, often overlooked, the business-to-business (“B2B”) market is three times larger than B2C. Logistics software helps manage these deliveries, finding the cheapest rates, tracking inventory and status, and helping companies go global. The software also helps shippers deal with changes in delivery methods. Troubling to delivery companies is the disruption in the “last mile”. Drones, autonomous cars, Uber drivers, and a host of others are expected to take over delivery to homes over the next decade. This creates some uncertainty in logistic companies’ business models but adds to the demand for flexible logistic software. 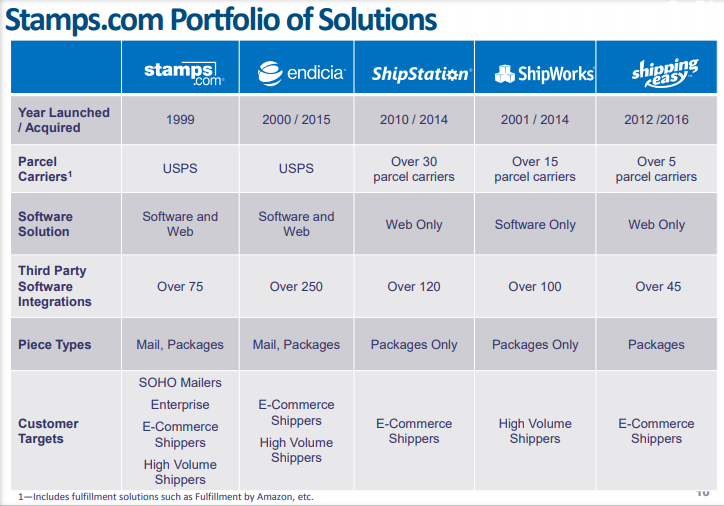 Stamps.com Inc. (STMP) provides a host of brands and solutions to help customers of all sizes handle everything from single-piece mail to bulk enterprise delivery. Stamps.com, which ranked sixth last year in Forbes’ Top 25 Fastest Growing Public Tech Companies, operates mostly as a subscription service. This model provides for steadier revenues, especially as the company makes positive inroads to decreasing churn. The company was able to retain greater than 97% of its clients in 2017 while growing sales 28%. Stamps.com does not really need to do anything new to continue its upward growth trajectory. Management’s plan is to continue investing in and improving their current platforms with an additional focus on international shipping. They have acquired three companies since 2014, helping to expand its services to a broader base of customers, and increasing its hooks into e-commerce sites and shopping cart vendors (third-party integrations in the graphic below). Continuing to build out and homogenize their offerings, and spending on marketing across their newer segments, should help lower costs and add revenues. 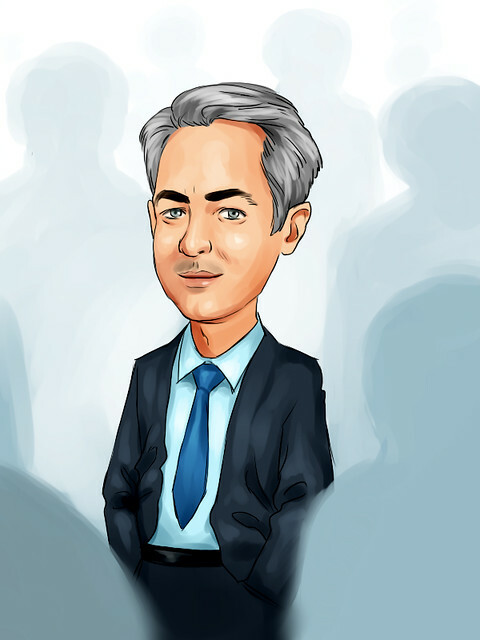 Profiting from the popularity of e-commerce can seem straightforward – buy into United Parcel Service (NYSE: UPS) or FedEx (NYSE: FDX). However, Stamps.com strips away all of that heavy infrastructure investment, providing investors with extremely high margins and a smoother ride if the economy falters. A number of companies, along with the major shippers, provide pieces of STMP’s full-service solutions, but the only publicly traded peer that could be found is Pitney Bowes (NYSE: PBI). 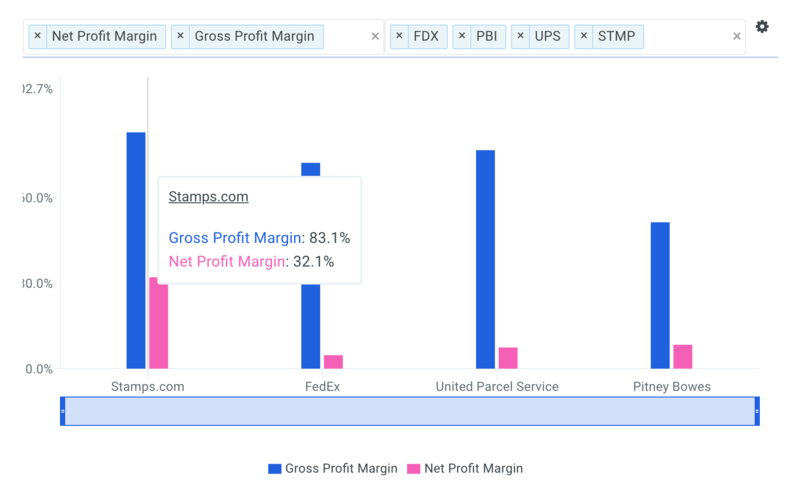 According to Finbox.io, Stamps.com bests its most direct peer, plus FedEx and UPS, with gross and net margins of 83.1% and 32.1% respectively. STMP’s profit metrics are also impressive. Returns on Invested Capital, Equity, and Assets are all above 20%. One note, do not put too much stock in the Peers column below. With few tradeable peers, other software service companies in the industry group are technically similar, but not great direct comps. Peer comparisons generally provide helpful context for determining the relative valuation of a company. As noted earlier, Stamps.com is tough to compare. It is a software company whose customers range from individuals to large firms and has no pure public competitors. Rather than select companies within the software industry, direct and indirect competitors provide some extra context. 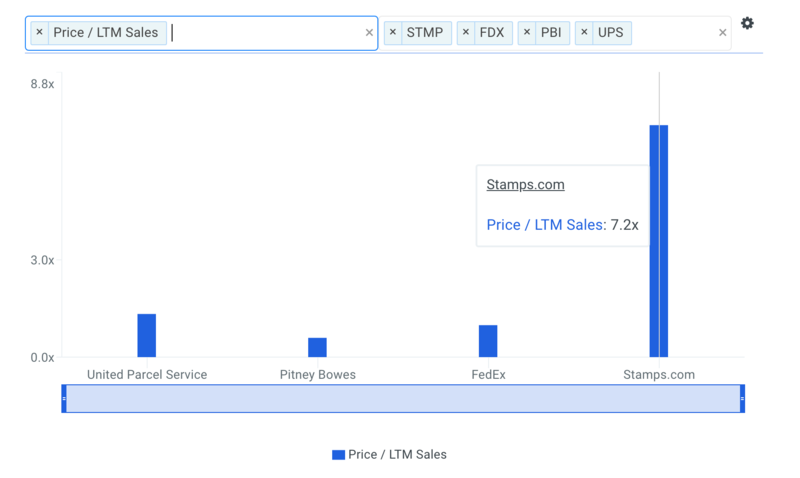 However, more mature companies like UPS and FedEx will show a high growth firm like Stamps.com as relatively overvalued. 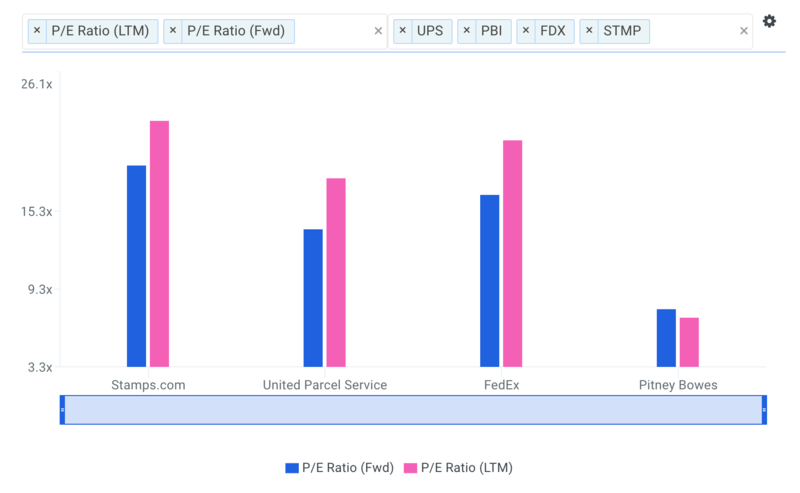 Stamps.com’s P/E and Forward P/E are higher than the selected peers, which is not surprising after its stock price gained 65% over the last year. However, the P/E compares favorably to the market. STMP’s 22.3x multiple is lower than the S&P 500 (24.9x) and the NASDAQ 100 (25.8x). Pitney Bowes’ lower P/E reflects expectations for low growth with forecasted long-term annual sales growth of 3.7%, according to finbox.io. While its P/E looks healthy relative to the market, the company’s price-to-sales ratio is elevated. The S&P 500 trades at 2.2x sales, less than a third of STMP’s 7.2x. Projected long-term annual sales growth of 11.2% should help bring this multiple down over time but for now it one strike against the company. One of the better performing metrics is Enterprise Value / Free Cash Flow, where purchasing companies with lower multiples has yielded long-term outperformance. The ratio is the theoretical cost to purchase the company over the actual cash left over for investors. Free Cash Flow is much less manipulatable that earnings, which are often engineered by management. Indicative of FCF’s honesty is that this multiple cannot be calculated for FedEx or UPS due to their negative free cash flow. Finding a market EV/FCF is tough, so to help put this multiple in context, we switch to its cousin: Market Capitalization / FCF, the inverse of Free Cash Flow yield. Market cap does not account for the debt, cash on hand, preferred shares, etc. that EV does, but this multiple allows for comparison to the S&P 500. STMP’s 17.5x multiple is lower than the S&P 500’s 23.8x and the Tech sector’s 19.3x, both of which are based on data from 2017. Wall Street analysts believe in management’s approach. Expectations for 2018 are a 16.7% jump in revenues, but a drop in EPS on tougher comps. Analysts are under the midpoint of company guidance, and STMP surprised by better than 28% in each quarter last year, so it is fair to assume that this positive trend will continue. Analysts currently see an upside of 29.6%. Finbox.io’s Fair Value, a composite of nine individual valuation models, agrees with Wall Street in forecasting a 29.4% gain. Stamps.com is positioned well to grow as a provider of mailing and shipping services. Its recent acquisitions have provided integrations with major e-commerce sites and online shopping cart providers, keeping it relevant. Furthermore, they have broadened the company’s customer base, helping it penetrate further into enterprise and high-volume shipper markets. The company has delivered strong growth, and its profit metrics show that management is executing well. Despite its pace of growth and price gains over the last year, the company compares well to the market in valuation metrics indicating that it has room left to run. Wall Street analysts agree and are currently predicting 29.6% upside. Finbox.io’s quant valuation models also add confidence to the mosaic, calling for similar gains. Stamps.com appears set to deliver for investors.